288 pages | 1 B/W Illus. 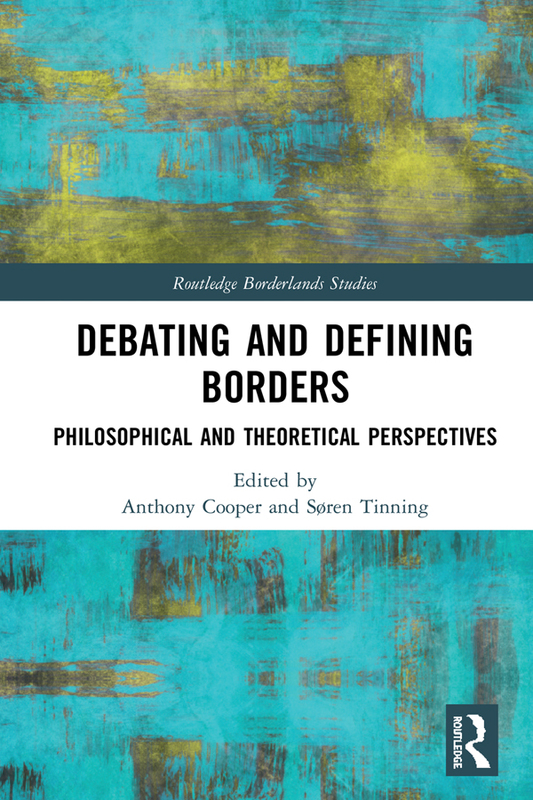 This book brings together insights from border scholars and philosophers to ask how we are to define and understand concepts of borders today. Borders have a defining role in contemporary societies. Take, for example, the 2016 US election　and UK Brexit referendum, and subsequent debate, where the rhetoric and symbolism of border controls proved fundamental to the outcomes. However, borders are also becoming ever more multifaceted and complex, representing intersections of political, economical, social, and cultural interests. For some, borders are tangible, situated in time and place; for others, the nature of borders can be abstracted and discussed in general terms. By discussing borders philosophically and theoretically, this edited collection tackles head on the most defining and challenging questions within the field of border studies regarding the definition of its very object of study. Part one of the book consists of theoretical contributions from border scholars, part two takes a philosophical approach, and part three brings together chapters where philosophy and border studies are directly related. Borders intersect with the key issues of our time, from migration, climate change vulnerability, terror, globalization, inequality, and nationalism, to intertwining questions of culture, identity, ideology, and religion. This book will be of interest to those studying in these fields, and most especially to researchers of border studies and philosophy. Borderlands are spaces of transition between cultures, societies and states. Often, like in the case of the US and Mexico, they are understood as static territorial lines and buffer zones, subservient to the development of states and state territories. However, borderlands can also be fluid and ambiguous spaces, moulded by processes of economic and political integration or shifting geopolitical dividing lines. Moreover, borderlands cultures can be found far from borders, in cities, multicultural neighbourhoods and diasporic communities. They also exist as both future-oriented geographical imaginations and imaginaries with profound historical roots. Today, globalisation, integration and new transnational forms of communication change the complex interrelationships between state, society, space and borders. Consequently, borderlands become more and more places in their own right, reflecting broader supranational patterns of political, economic and social change. With this series we encourage inter- and multidisciplinary investigation on borders and borderlands throughout the world. We engage with the political, social and historical richness of borderlands, reflecting their unique (geo)political and cultural significance in contexts of colonial rule, nation-building and integration. The Series will explore, among other things, shifting social and political relations and place-related identities that emerge in borderlands, as well as cross-border interaction and the historical memories of every-day life at borders. With this series, we will both contribute to the rich tradition of North American and European borderlands studies and provide a forum for new growing interest in research on borderlands in Africa, Asia and Latin America. To submit proposals, please contact the series editors, or Routledge’s Development Studies Editor, Helena Hurd (Helena.Hurd@tandf.co.uk).